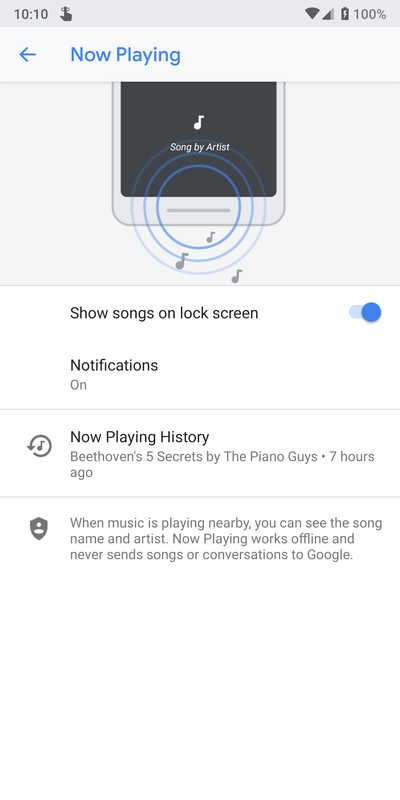 One of the coolest little features that came with the Pixel 2 was Now Playing, which would listen out for any music that was playing around you and try to identify it. It's basically an always-on Shazam that shows you the track names on the lockscreen. There's always been one major drawback, though — if you're not looking at your phone while the song is playing, you'll miss out. 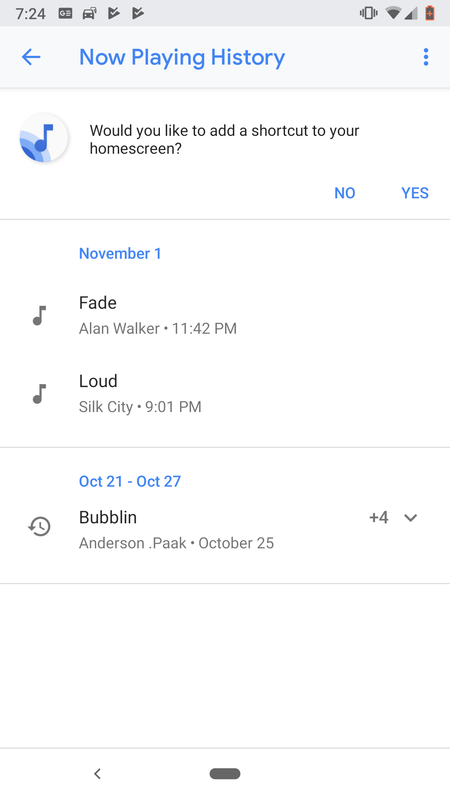 Until the launch of the Pixel 3, there was no such thing as a list of all the songs previously identified. Thankfully, there is now, and it's starting to appear on Pixel 2 and 2 XL devices as promised. 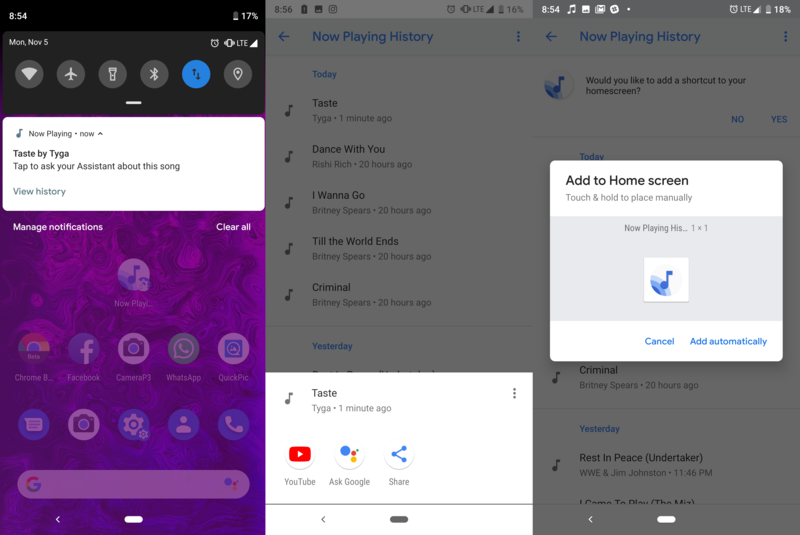 We've had several tips from Pixel 2 owners who say they now have access to the Now Playing History, and a post on Reddit adds further confirmation. Before now, there have been third-party workarounds that get the job done, but that's still no excuse for the lack of a native solution. Google has now righted that wrong, and the feature will be far more useful for it. As well as a new notification that links to the History, there's also a home screen shortcut you can add. Even better is that when you tap a song name, it'll surface links to music apps you have installed so you can listen to the song again.